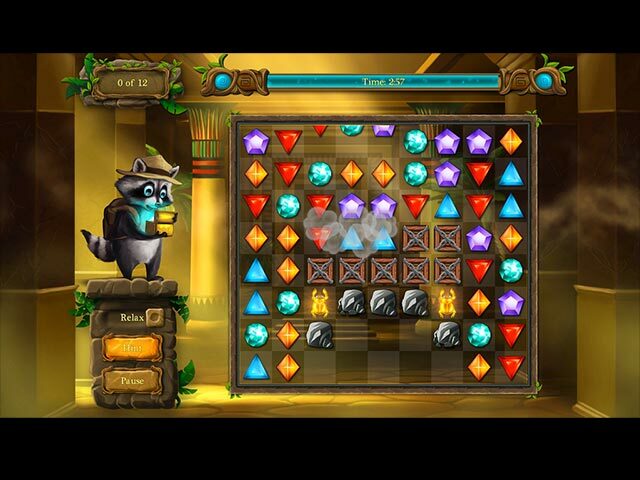 Ricky Raccoon 2: Adventures in Egypt game download. 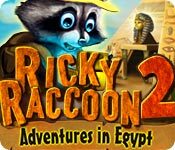 Free download Ricky Raccoon 2: Adventures in Egypt for Mac. 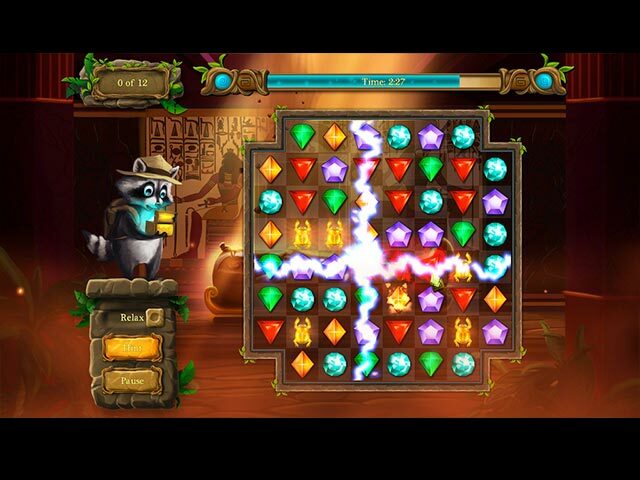 Ricky Raccoon 2: Adventures in Egypt features everybody's favorite raccoon at the Nile. After his successful treasure hunt at the Amazon River, his next big expedition into the unknown takes him into the heart of Egypt. Join Ricky, his grandpa and their parrot on a quest for 5 mysterious artifacts hidden in ancient Egypt. Master challenging Match 3 missions to make it all the way to the hidden treasures. Visit 6 different locations, all of which are presented in Full HD graphics. 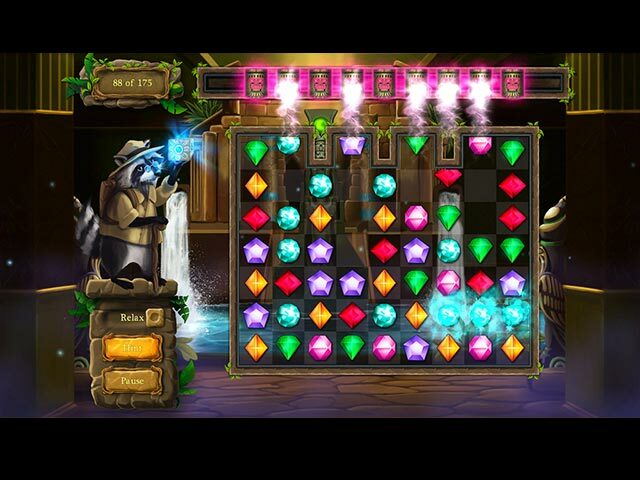 Dig deeper and deeper into the mythical world of ancient Egypt and solve 100 lovingly crafted and colorful levels that will put your matching skills to the ultimate test. Will Ricky Raccoon ever become as great a treasure hunter as his grandpa? The sequel to the Match 3 hit!